Family Dollar or Dollar Tree. Are They the Same? 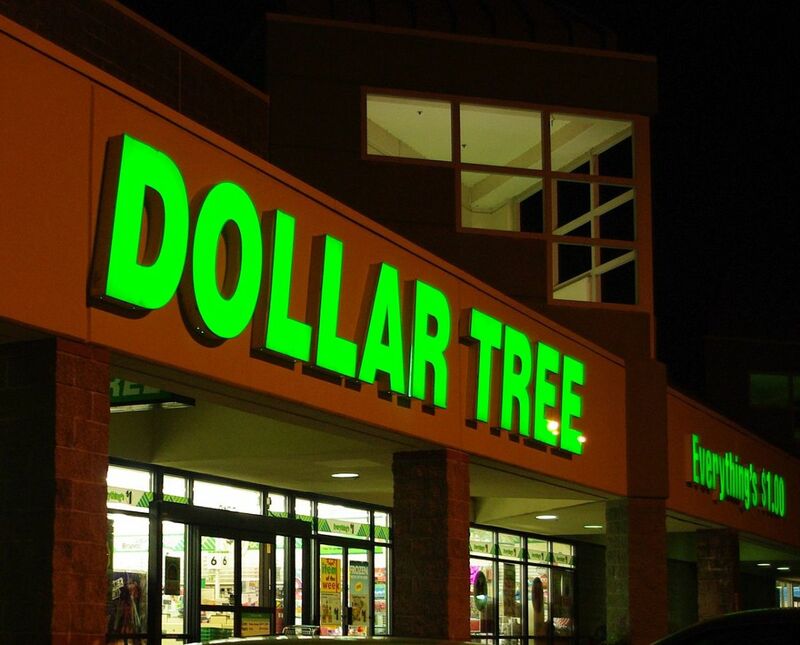 The "Big Daddy" of the The Dollar discount stores chain is Dollar Tree, Inc. Only the Dollar Tree is a true dollar store. While Family Dollar Stores boasts many items priced at $1 or less, it also has many more priced higher than $1 and even higher than $5. All Dollar Stores are not equal. In fact, the Dollar Store can cost you more. You may have already found this out. The area I shop in boasts a large variety of Dollar Stores just waiting for your dollars. 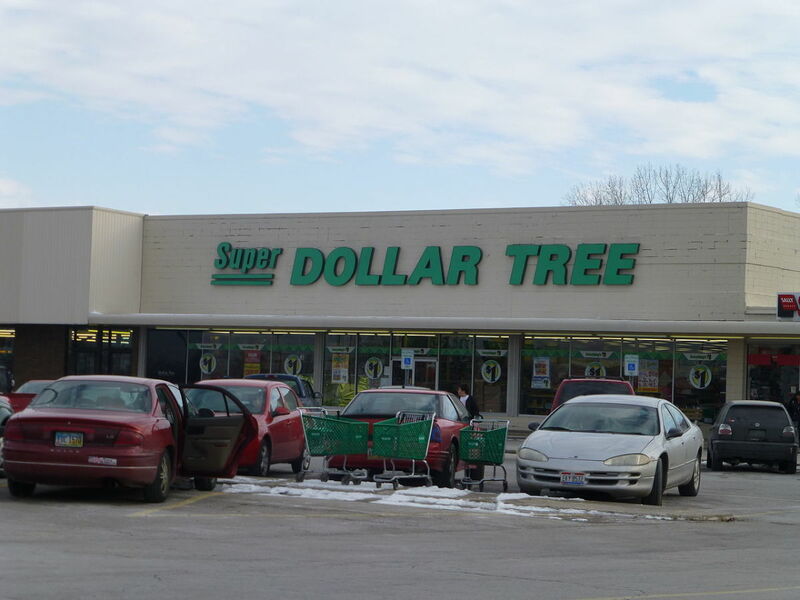 However, out of all of these stores available to the shopper - only one lives up to it's name and that is the Dollar Tree. Every single item is exactly one dollar including top brand named foods. The ambience is relaxing, spotless and friendly, while clerks bag your treasures with a smile. If you aren't lucky enough to find a store like this, you'd best be careful and watch the prices and quality of the products. Since I've had plenty of experience buying the wrong stuff at so-called Dollar Stores, I thought I'd help you out by doing some careful research. Hopefully you'll learn from my mistakes. What to buy at the Dollar Store. Cleaning Supplies - Although some cleaners are slightly diluted, you'll like the price. Most Dollar Stores now carry name brands at 60-70% lower than supermarket prices. Bath and Beauty items - Toothbrushes and floss (1$), Ivory bar soap(33 cents a bar), cotton balls (1$), lipstick (1$), Pregnancy Tests (1$), Shampoo (1$). Most bath and beauty items will save you some money, and many have the same ingredients as the more expensive brands. Party and gift supplies - You'll love the savings on these items, which include cutlery paper plates and cups. And don't forget the inflated party balloons (1$ including the helium). Seasonal and holiday items are a steal but you want to shop early as these favorites go very fast - especially Christmas, Valentines and Easter. Containers for storage and baskets in a variety of sizes are 70% less than other stores. I buy all my stickers for my young piano students at the Dollar Store as well as a good assortment of candles. 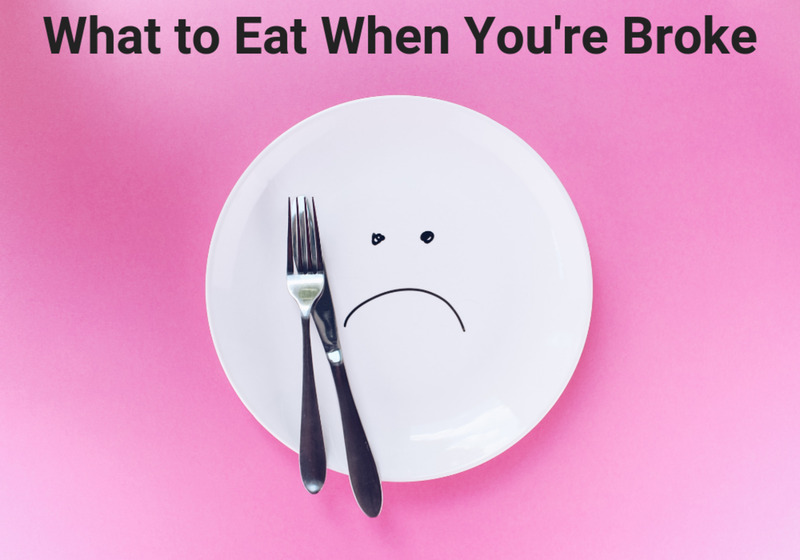 Cooking accessories like spatulas, ice cream scoops, flatware and wine glasses will give your wallet a smile too, including dinner plates, serving bowls and such. I find all of my artificial flowers and trimmings at the Dollar Store, along with seeds for my vegetable garden in the spring and summer. 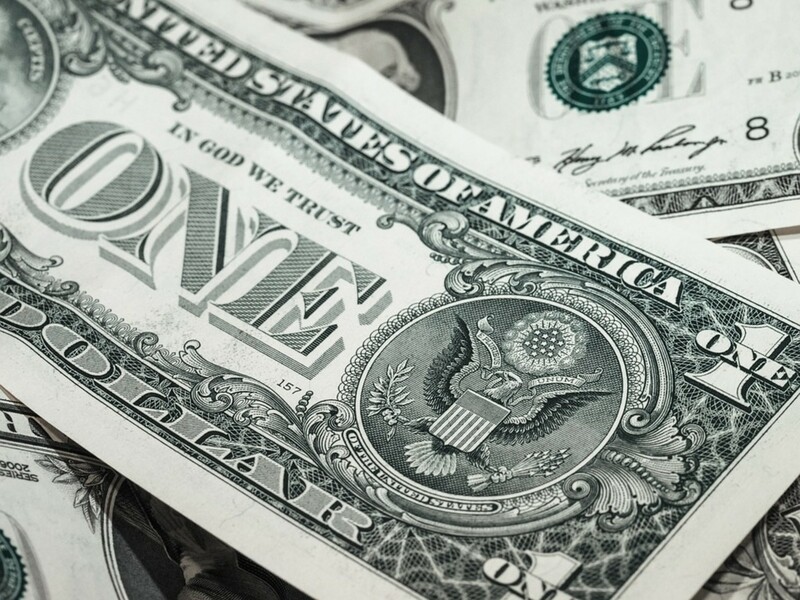 If you're tired of paying 4-5 dollars per greeting card, then you'll love the 1 dollar cards. 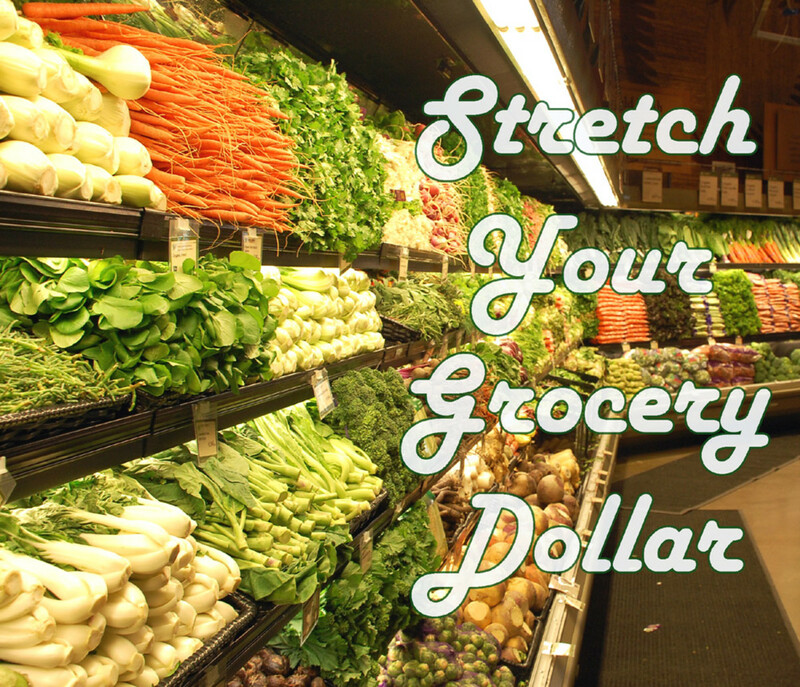 This list will give you a general idea of what to look for when you visit the Dollar Store. But buyer beware. Not everything in the store is only 1 dollar as the name would indicate - some items are not even a good bargain. I am always up for saving a buck. It somehow gives me a feeling of superiority. I’ve done my time in the dollar store and its associate knock-offs, and learned through my own mistakes that not everything on the shelves is a bargain. Just this week I made my shopping rounds and the dollar store was my first stop. One of the bargains I purchased was a regular size can of butter beans for only 1 dollar. My second and final stop was at my regular food chain. To my utter dismay, I found the same can of butter beans for 69 cents. It was time for me to get smart and do some quick research. I wanted to know if a trip to the Dollar store was really a savings for me. This is what I learned after doing my own research. Now my plan was going to cost me some time and I realized that it would, going in. However, in the long run, it would prove to be cost-effective. Please take note - I am not cheap but I'm frugal. And I get a "rush" when I come across a good bargain. 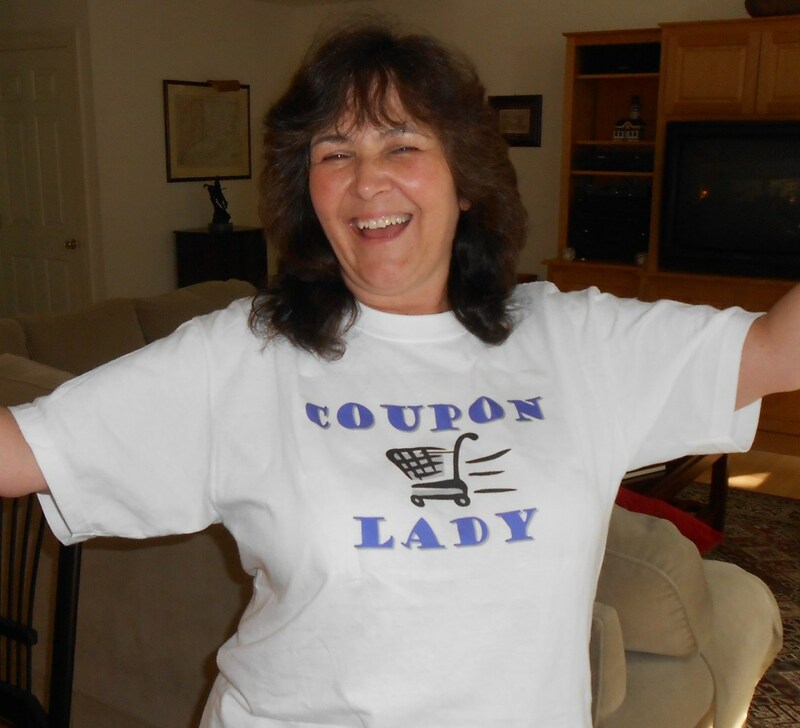 I researched prices and size of items and food at a couple of the local discount stores. 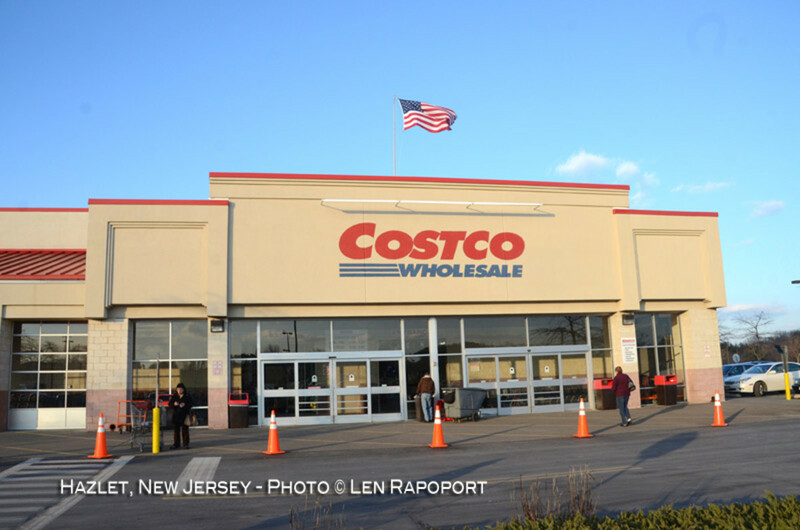 These stores include Walmart, Target and the Dollar Store. I also included the local Kroeger Market. I kept a record of everything. It wasn't long before I found out which Dollar Store products were a savings and which ones were not. Toys. Cheaply made and can contain lead. Aspirin, Tylenol and other medications. 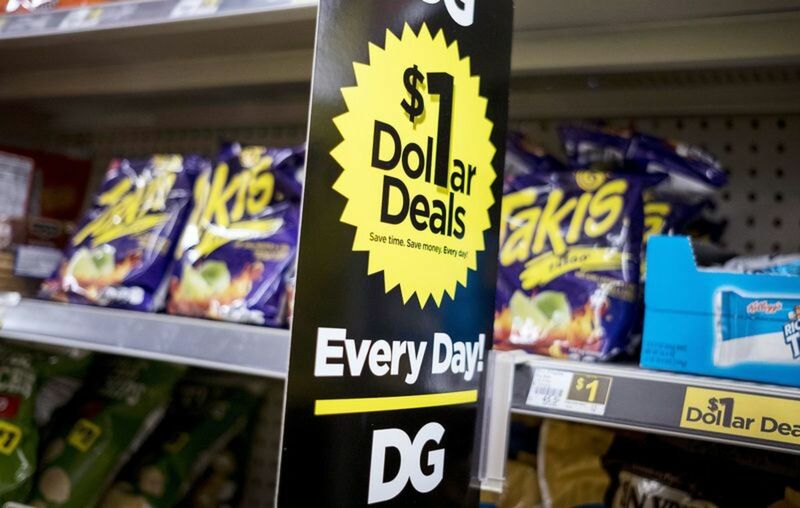 All Dollar Stores are not the same and prices can vary depending on the area. The biggest chains other than The Dollar Store are Dollar Tree, Family Dollar, Dollar General and 99 cents only. The Dollar Store - Savings or Ripoff? Now you know which items best to buy at the Dollar Store chains. You've also learned which products to avoid. 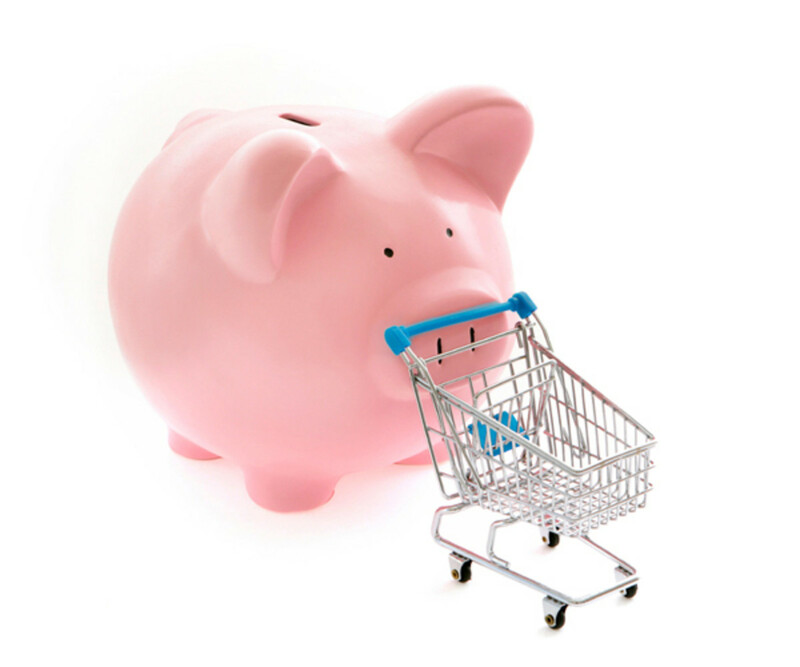 Whether you're on a budget or just like a good bargain, you will definitely save by shopping for the right items. The fun part is - you just never know what you will find. 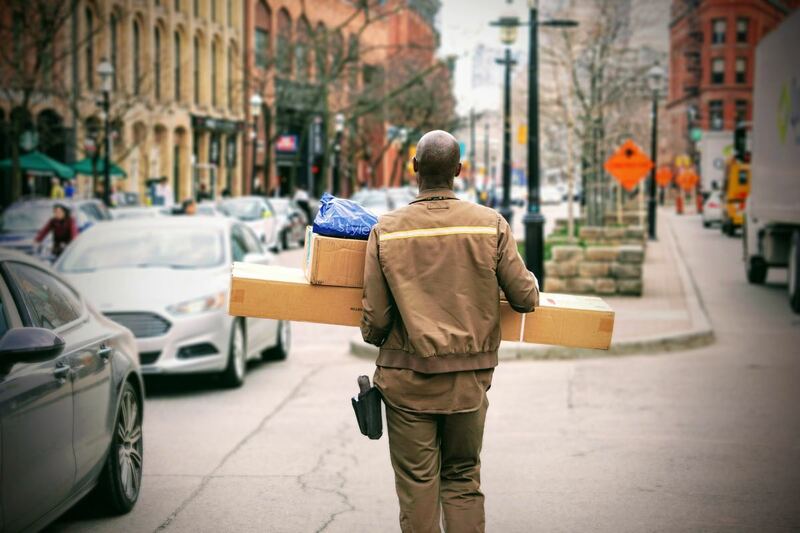 New products arrive every single day. Just remember, the Dollar Store can cost you more. Print out the lists above and take them along with you. Thank you for reading and please remember to leave a comment. Your comments are so helpful for others reading this article. Thanks for your help! Another helpful Hub. I just spent about $20 on sponges and cleaners at Walmart. I was second guessing myself when I walked out of the store. I will be shopping for these items at the dollar store from now on. Great article. Simple, beautifully written, and to the point. Jason Marovich - I'm so glad to see you here Jason. When I wrote this hub, I was so tired of being "ripped-off" by false advertising. When I go to a "bargain" store, I expect to see more bargains - not "barely any" bargains. It's a waste of my time and uses extra gas. I've found items that are a true bargain, so I now use the dollar store for certain items only. The poor quality items are mostly junk. Great advice! I have done that before too - stings a bit when you realize the gotcha. As you mention some stuff is a true bargain and some items can even be dangerous or poor quality. ThoughtSandwiches - You wrote: There is a dollar store up here that says "Dollar Store: Everything in the Store over a dollar." Audrey, we have Pound (£) stores in the UK and they're the same as your stores in that some stuff really is a genuine bargain but you do need to be savvy about what is actually a bargain and what isn't. This is a very useful hub for the savvy shopper! rajan jolly - Thank you for sharing your information. I actually stopped shopping at the dollar store. I found that my local supermarket actually have better buys and quality. We don't have a 99 cent store close by. I love your hubs rajan and look forward to reading more of them. Thankyou! Gosh, I need all that advice to take when going to the dollar store! Thanks for taking the time to write this - will consider printing it out and taking it there! I have noticed the same thing here in the UK. I think the supermarkets are getting so competitive with prices that they can offer a much better price. I think the dollar or pound stores will have to catch up, they used to be the first stop for a bargain but now people are realising they aren't always. Another thing I noticed at our Dollar General. I buy containers to put my quilt squares in, they were 4.50 at Dollar General where all the ladies were buying them. So I checked at Walmart they were 3.99 and better made. Voted Up on your hub. You did a lot of leg work on this one! Thank you and it is great information. I always wondered which place has the best price for most things like Wal-Mart vs. the grocery store...I usually buy my cleaning stuff from Wally world because it's kind of a one stop shop with the super centers now. I do have several Dollar stores in my area - the kids LOVE to go there! If I give them 5 bucks they think they are rich! haha! Very comprehnensive list of what to buy and what not to buy at the dollar store. I do agree I loe going there for greeting cards, because I used to spend so much money at Hallmark for cards and seriously they are cards that people read and than throw away. Also, pregnancy tests, I did purchase from the dollar store when we were trying to conceive, they are a good buy, but did feel that they weren't as good quality as the brand names, like First Response. Again thanks for putting this list together and am voting up and sharing too. How cool that you found the beans cheaper at the market than Dollar Store. I will have to say though, I have had good luck with purchasing their school supplies. Thanks for sharing you r findings! I am frugal, too, and I have learned the same thing about dollar stores. They are more expensive on many of their "only a dollar" items. And some things are just cheap. I love their greeting cards. At our local Deals (owned by Dollar Store), they're only 50 cents, and I actually like them better than what I see at Wal-Mart for 3 or 4 dollars! I buy similar things as what you just mentioned. Interesting hub. Everybody should read this who is interested in saving money. I'm sharing it. Thanks! Definitely voting up! Our Dollar Store in Toronto is no longer a Dollar Store since recession hit us in 2009/2010. All items have been marked up by 25 cents except for some sweet snacks and candies. So, it's a $1.25 and some items are marked $2 plus of course the 13% tax. I guess, they should also change the store sign now. Having said that, I still love roaming around the Dollar Store only to pick up my 2 for a $ snicker bar chocolate. Awesome hub. Useful tips. Thanks for the sharing. I absolutely agree with everything you say here in this Hub. You have to be careful. I enjoy our Dollar Store very much for the things you mention. I'm inherently frugal, but I like your list of 'don't buys at the dollar store'. There are some items that are complete junk, when you need them to be reliable. Excellent concept for a subject that's always on our minds - spending less money. This is a very disciplined approach to shopping. I must confess to a complete lack of order and disarray in y shopping excursions. (I've actually been known to abandon my basket mid-aisle and exit the store when I decide I'd rather to the fast food across the parking lot). I am fully noting what to/and not to do at the local dollar store. PS...There is a dollar store up here that says "Dollar Store: Everything in the Store over a dollar." Audrey, I agree many items should be avoided at the dollar store. for one everything is not priced at 1$ and for another, some of the things are inferior in quality. While I was at LA I used to frequent the 99c store. I believe they have better variety and everything is at under a $. You have some work making out a fine list so I'm sharing this hub for others to benefit from. This is great advice. I would not buy the food either. It has probably been there a long time and shuffled from place to place. Good reading! Great hub. I found out the same thing. I was excited to find an actual dollar store. There were other ones that weren't dollar stores and they were more expensive than walmart,kmart or target. The Dollar Store serves it's purpose for some items but not enough. I tried to suggest more items to buy from there but you have the list covered:) Voted UP! This is a very useful hub. Voted up. That happened to me - I thought I was getting such a great bargain only to find that I had been ripped off. It does pay to know the price of things. Peg - Hahahaha! Yes, ma'm...I sure do remember the 5 and 10 stores. And some of them even featured a lunch counter which I visited when I had some spare change. Seems like a lifetime ago. You gave me a welcomed laugh, Peg, my friend! Thanks. I love shopping at the Dollar Store and you are absolutely right about watching the values. At our Dollar General, bread is higher and so is milk, but the TP and cleaning products are a good deal. Their greeting cards are a steal at 2 for a dollar and some are really beautiful cards. At Dollar Tree I love to find spices and wrapping paper and as you noted, the serving dishes and paper items like foil and baggies are good deals. What a great idea for a hub. Good one! PS. Do you remember when it was called the Five and Dime? Wow! Billrrr, thanks for the history lesson on Eric Esch. I am in the process of writing a hub on the Butterbean (just for you:) They are one of my favorite beans. So, keep an eye "peeled" for my next hub, because your name will be mentioned in it. See what you have done? Thanks for the comment and for the great idea for my next hub! I am laughing and delighted. The only Butterbean I ever heard of is a man named Eric Esch who fights under the Butterbean moniker. Butterbean is called the King of the Four Rounders and has appeared dozens of times on nationwide televised bouts. He has a cult following of many thousands. I know they didn't can Eric, so what is in a can of Butterbeans? We do not have these in the Northeastern United States. I know we are a bit food challenged. So what am i missing? Dee - You are absolutely right. The books are a great buy and I have found several to add to my library. Take care and many blessings to you. Denise - Hi, my friend. I am once again, joining the 30 hubs in 30 days challenge. I hope to make it this time. In any case, you are the wonderful person who inspired me to do this the first time. Good points, Audrey. I also compare shopping between the 'value stores'. I love stationary, so I go for that many times. Interesting hub. Oh, I totally agree with you. I too learned a valuable lesson. My favorite is Dollar Tree or simular where every thing is $1.00. I agree with you list and for me the only thing I will add is books. Paying $1 for a hardback book is great. You will not find the NYtimes bestsellers but I have found some wonderful gems that I've enjoyed very, very much. Voted up and useful. People should print them one out and use as a guide. Bang on, you are so right! Excellent tips, thanks for the info. dallas - You don't waste anytime and certainly make the most of every minute. And, good luck on your book! pamela - Gift bags and party supplies are great items to buy at the dollar store. When I shop there, I know exactly what I'm going for and stick to that. Thanks. If so, I missed it along the way. Thanks for visiting. slappywalker - Thanks for the good info on the spices at the dollar store. Sticking to a list of items when shopping instead of browsing around really saves money. hotwebideas - Very glad you stopped by. And...I think your hubs on web info are great! Thanks. timorous - You are right on the money! Being selective and using the dollar store for specific items only is the key to smart shopping and safety. Thanks, my friend! Dahoglund - I recently started doing "thin" when I buy TP. Big savings there. Thanks! Sylvia - I haven't been to the .95 + store...and like you point out, the dollar store is turning into the 20 dollar store :) And to think that only a few yrs ago, I would stick up my little nose at the thought of the dollar store.! happyboomernurse - I wonder how much longer the dollar store will be in business with the hike in food prices. I noticed that our local dollar store jacked up prices on most of the food - however the prices are still below the super market on most items. Thanks! Eiddwen - You always manage to put a smile on my face. I love seeing your name come up in my comments. Thank you for your support and for reading and the wonderful rating. Hope your day is marvelous - just like you! always exploring - thanks for the tip on fab laundry detergent. It sure pays to compare prices. Have a good day. So true - we see the word 'dollar' and just assume, great bargains galore. I am usually better off going into the supermarkets. But yes, for party supplies and light bulbs for all the weird lamps I have which are probably so outdated. Thanks for the list. Yay! drbj - You have a 5 dollar store near you? Unbelievable. But, as you have pointed out, the way things are going, we may be seeing the final days of the dollar store. Thanks, my friend and have a million dollar day! Really good tips about what not to buy as well. Isn't it interesting how they are still called dollar stores while charging more. Since I live here in the City with a million supermarkets around me - I can always get a better deal in the supermarkets - but for light bulbs - it is the dollar store. We have to remember to always be educated consumers. Chatkath - I made a quick trip to the dollar store today and even followed my own advice :) But today, everything looked way to low-quality and I'm having second thoughts about going back. :) Thank you, Kathy for your on-going support. They just don't make them any better than you! Good advice, Vocal. You can get bargains there but you have to watch. I get gift bags, wrapping paper and some party goods there like paper plates. allpurposeguru - (love the username). So nice to receive your comments. I normally never go out of my way to shop the dollar store and confine my cart to a couple of cleaning products, extra toothbrushes and greeting cards. prasetio - Hello, my friend. I can hardly believe you have a .50 cent store. Would be helpful to have one here. A brilliant hub and thank you for sharing vocalcoach. Here's to many more to share. Take care my friend and I vote this one up all the way as I always do with yours. Great advice dear vocalcoach. Be well and stay cool this summer. Thanks! Completed a cabin cruiser restoration and update... Now back to getting my book published! hyphenbird - I bet I could learn a lot from you. :) Being mentally prepared and aware are the best tools to take with you at any store. Thanks for your contribution. Thanks for the information. Great article! Awesome. I have been in dollar stores and have never seen a thing I thought was worth more than 10 cents. Same here in the UK; Pound (£) stores are great for the things you mention, cleaning products, paper table items etc - they cost far more at the supermarket. They do sell a lot of tat though! I so agree with you, You have to know your costs before shopping at Dollar stores as you can so easily get stung. i found that buying things like paracetamol was one to watch out for. It is so much cheaper at a super market. Also things like chocolate and other snacks can also cost you more at the Dollar store. I go to the dollar stores for some items. Thankfully I have a great memory and can "see" in my mind prices from other stores when I shop. We are minimalists and that keeps us from buying junk from anywhere, like toys and minutia. Thanks for a great Hub. Great hub and a good reminder of the things not to buy at the Dollar Store, especially the children's toys that may contain lead or have flimsy parts that break and present a choking hazard. I do swear by the Dollar Store for basically all the items on your "what to buy" list. Excellent Dollar Store recommendations, Audrey. It's still one of the best places to find a bargain as you pointed out. I expect, however, that before long, the way prices are rising, our favorite dollar stores may soon become two, three and five dollar stores. We have one of those in my neighborhood. Yes, I love saving money while shopping. I find some great deals at flea markets too. And Walmart is cheaper than our grocery store, Winn Dixie. Winn Dixie has great sales on meat- buy 1 get 1 free, but everything else is priced way up! Nice hub. Thank you. It has been going on for quite awhile. How much is in a 3 lb can of coffee. Toilet tissue i find impossible to make comparisons on.I do thin it is deceptive packaging. Well done. You've had the effect of making me re-think my dollar/euro store approach. You're right, it's best to shop further and check what other stores may be offering. I shop at the Dollar Store, but i'm careful. I use Fab laundry detergent, and found that it was cheaper at Walmart. Thank's for the tips. dahogland - Speaking of smaller packaging, I have a real problem with super markets reducing the size of food products, then raising the prices. I suppose that is a sign of the times. Thank you for your comments. I do have to say, I sometimes have found (with good dates stamped on them) cans of Brand Soups. I agree on all of your Things to Buy at the $1.00 Store and find they are Fun to visit as long as we know our limitations. Good Hub as Usual, Vocalcoach. LOL. Your lists should help lots of people. Alas, most of the categories of stuff to buy there are things I don't often buy at all. I don't go there very often, but I'll check it out the next time I do a snack run or want greeting cards. This was great! I always thought the name should be changed to the "Twenty Dollar Store" because I always seem to spend at least that! Have you ever been to the 95+ Cents Stores? Everything is plus. I don't think I found anything for .95! True. Many things are actually higher at the Dollar Store, so shop carefully. You're quite right Audrey, you can save a bundle at the dollar store. However, you still need to be 'smart' shopper. Many of the items are of rather cheap quality (you get what you pay for), and are not a good value in the long run..filling up landfill sites with broken can openers, etc. I'm also leery of any food items, and personal hygeine items, unless they're the same name brands as the supermarkets. I find the real bargains are plates, bowls and glasses, which are perfectly good quality and often quite substantial (as long as they don't have lead in them..who knows). Great information and thanks! V-Up! Good list. I still get mad at myself when I walk in the Dollar Store and realize that I just overpaid for an item at another store. One of the things that I always forget is that the dollar store sometimes has basic dry spices in the cooking section. Nothing fancy, but it can save a little money. Brilliant ...thank you. I have noticed a similar thing here in New Zealand. some things are the same all around the world arnt they. Great points Audrey! I love being frugal! I don't get to the dollar stores too often but I have noticed that some products are smaller than at other stores, that is have less product. Very good points. I love the dollar store but you do have to shop carefully. Thanks for the tips. Voted up and useful.